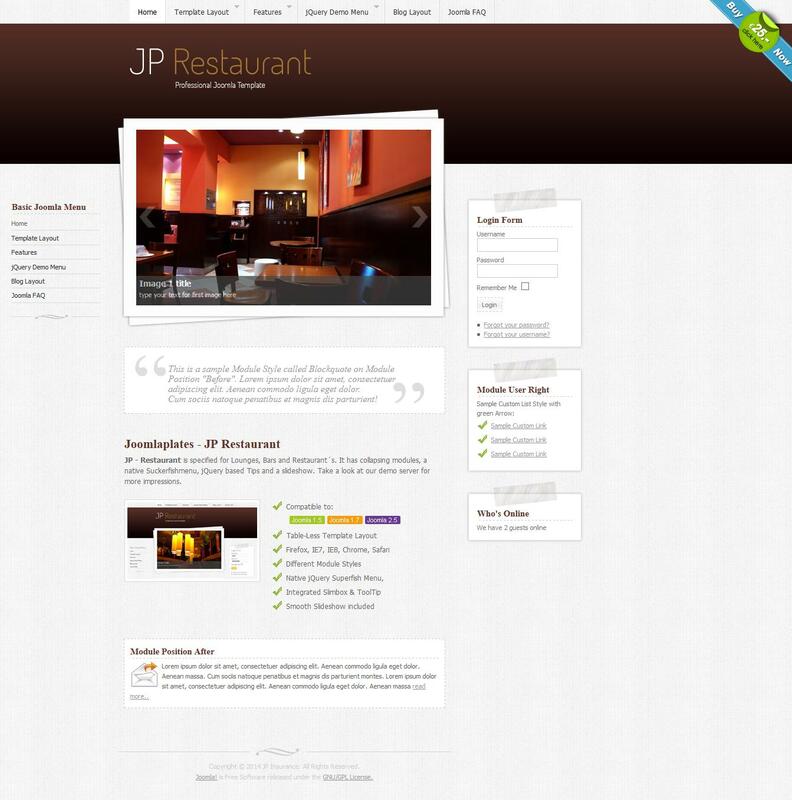 JP Restaurant - light pattern from the design studio Joomlaplates sites for restaurant theme. This template supports Suckerfishmenu, rotation of images Slideshow module and has a fast-loading pages. It can be easily configured and functionally significantly extended by folding modular design. The template has a fast download speed, made in the form of three columns to support the correct display on mobile devices.